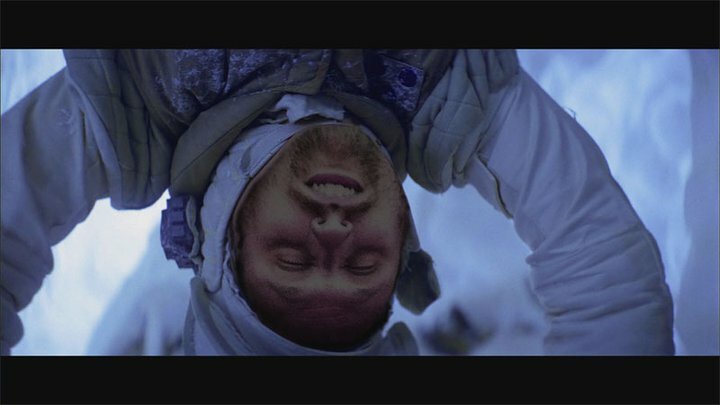 The Lurker was looking for a photo of Luke hanging upside down in the cave on Hoth when I came across this gem of a flashback image. 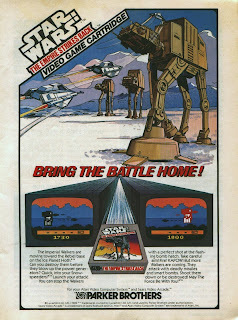 You are looking at what I consider the very best of Atari gameplay. Seriously, you watched Empires then came home and wanted to recreate some of the cool snow experience this did it for me. 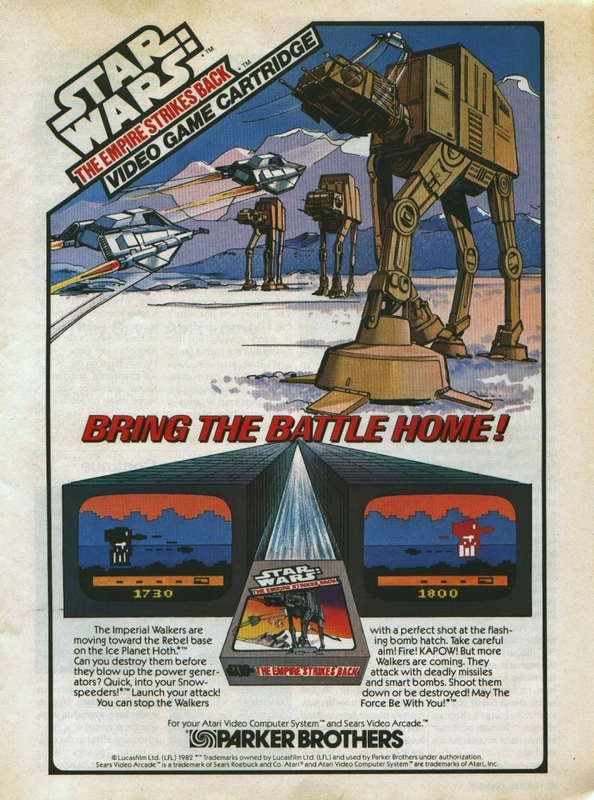 Granted we didn't own this so I only have memories of going to my cousin Mark's to play it and it was either this game or the ET game, which led to the eventual fall of Atari, but come on, GREAT GAME. 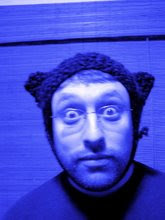 So anyway click the link and marvel at the cover art and ad and pretend you are 8 again.